With a projected 1,000,000 trucks to be sold this upcoming January, Peterbilt Motor Company Announces that it will celebrate the sales milestone with a new campaign concerning indudstry fandom surrounding the truck manufacturer. 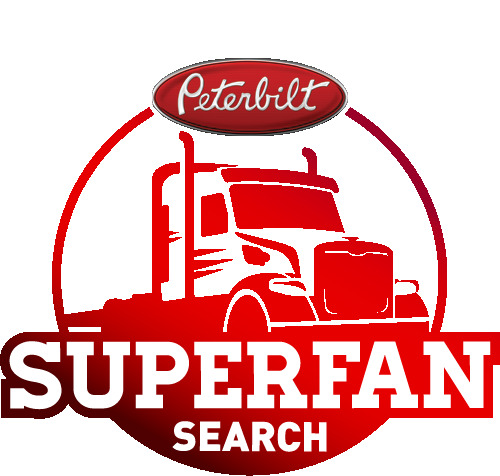 Entitled the “SuperFan” campaign, Peterbilt reports that hosting the campaign will identify individuals who display a tremendous amount of fandom for the company brand, with a winner who will receive the keys to the 1,000,000th unit, a customized and unique Peterbilt Model 567 Heritage unit. Kyle Quinn, General Manager at Peterbilt Motors Company, reports that Peterbilt has seen a long history of product loyalty and fandom, and using the upcoming iconic milestone will celebrate continued followers of the company and allow them to share their experiences with the preferred brand. Peterbilt’s SuperFan campaign will allow fans to submit their videos, photos, and personal stories regarding their connection to the brand through December 22 of this year. Peterbilt reports that five finalists will be selected early in 2018 and will be presented at the 2018 Mid America Trucking Show, wherein a finalist will also be announced. Interested parties may upload their submissions to Peterbilt’s dedicated submission page at: Peterbilt.com/SuperFanSearch.